Reward appropriate behaviors, and they will tend to re-occur. Listen to the child. They want to be heard too. Give him a break once in a while. Know the difference between big things and little things, and don’t confront him on each little thing. It is hard for these children to control themselves all of the time. Be alert to how much movement they may need. Allow for some extra trips to the restroom, or to run some errands. You may want to allow him to run around in a designated spot in the play yard. Help the child find his areas of strength so that he can build his self esteem. It is important to pair verbal praise with a reward. This will facilitate “weaning” from a concrete reward structure to an internalized system. Encourage your student to also write or say self affirmations. A simple nod, wink, smile, or touch on the shoulder can carry tremendous recognition power. Instead of confronting your student continually on activities/behaviors that are inappropriate, point out the alternative choices that are available. This will make the expectations clearer to him and avoid the negativity inherent in what he would perceive as criticism. Some students respond to a prearranged cuing system with the teacher. In this system, the teacher gives a visual signal (touching the ear) or verbal phrase (“Remember, I’m looking for good listeners”) when a targeted inappropriate behavior occurs. The cue can remind your student to correct behavior without direct confrontation or loss of self esteem. It can involve the classroom teacher or any support personnel available to the student. 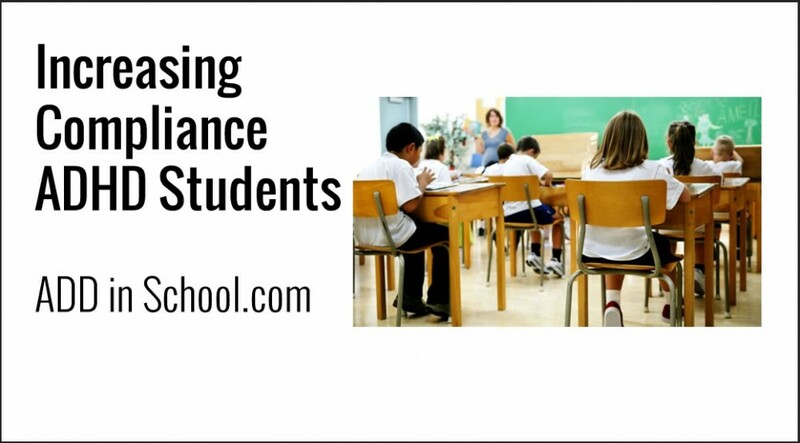 Encouraging your student to monitor his own behavior has many benefits. It can provide an opportunity for discussion when your student and the teacher agree/disagree on the ratings. It also prompts movement toward your student’s internal frame of reference in evaluating his behavior.